Service dogs are specially trained dogs whose purpose is to help perform tasks that are too difficult or too dangerous for their human handler. Specially trained from birth service dogs provide support for a large range of people, from those with mobility issues such as the blind and physically disabled to the police and military. Whereas the police and military rely upon service dogs to perform tasks that often puts the dog in peril; for example service dogs are sent to find improvised explosive devices often in dangerous environments. A good example is Sasha a service dog that was killed in action in Afghanistan in 2008. She had 15 confirmed operational finds which undoubtedly saved the lives of many soldiers and civilians. The PDSA honoured her actions by posthumously awarding Sasha the PDSA Dickin Medal – the animals’ Victoria Cross. To train a service dog takes up to 2 years; trainers teach the dog to interpret human commands and actions so that they can support the person whom they will be serving. 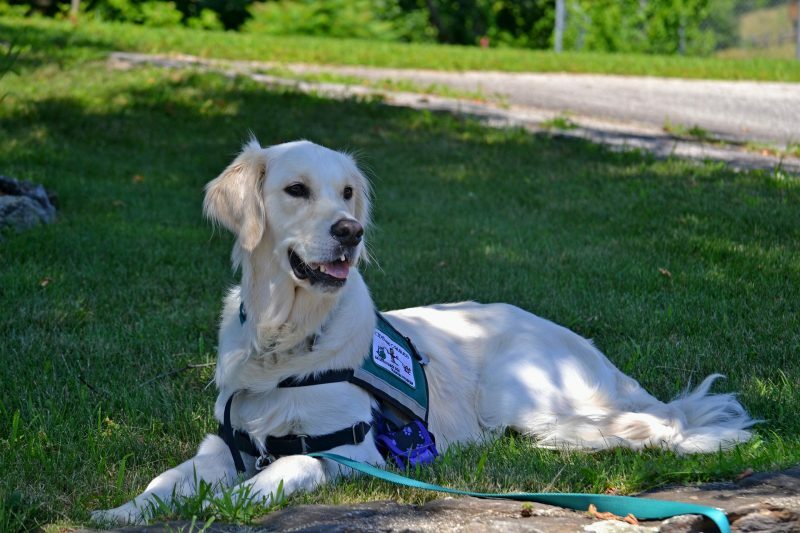 Once the service dog is fully trained he/she is assigned to a new owner. In some cases the new owner may only require support from the service dog for a set period of time. When the person recovers the service dog may then be sent to another home to provide support to another person. 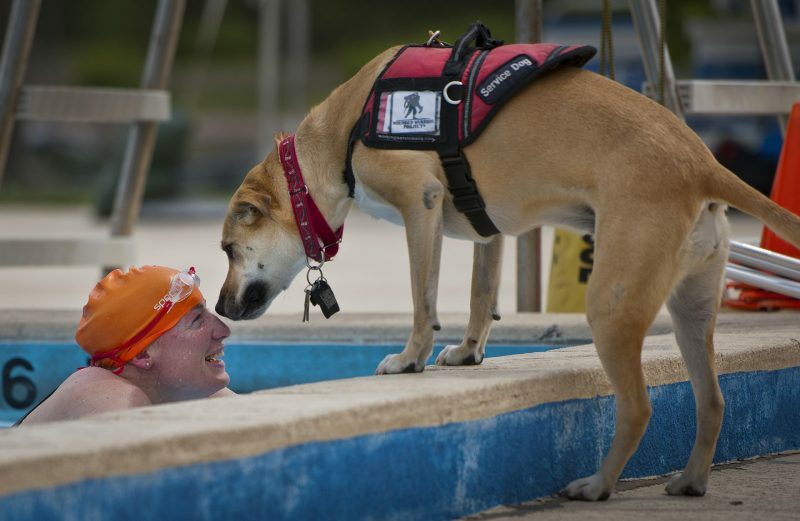 It’s not unusual for a service dog to provide support and assistance to several owners. However it’s fairly common for the service dog to offer support to just one person and can work for 8 to 10 years with the owner adopting their service dog when the dog retires. 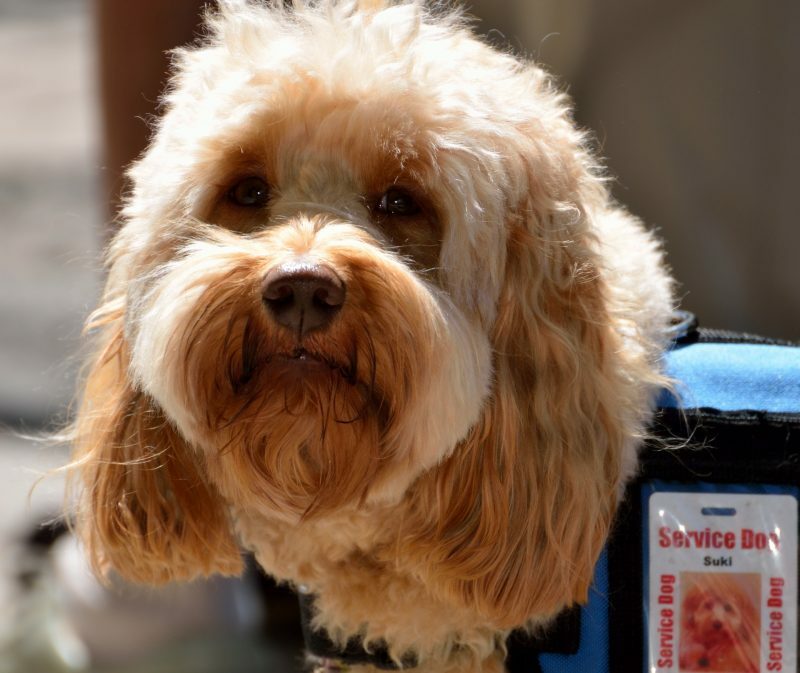 Emotional service dogs provide support and comfort to patients suffering from anxiety. A doctor may recommend a service dog to support a person suffering with anxiety or depression. Service dogs are also taken to hospitals, hospices or other care centres for patients to spend time interacting with the dogs. This has proven beneficial effect upon the patients’ well-being. So man’s best friend continues to adapt and learn new and amazing skills that provide support, comfort and safety to an increasingly wide range of people in some extraordinary environments. Please share you experiences of service dogs in the comments section below.